Archbold – Saturday, April 13, 10 a.m., Ruihley Park. Also will be crafts, food, drink. Call 419-445-4025 for more information. Delta – Saturday, April 20, 10 a.m., 10 a.m. to noon, Delta Park. Lyons – Saturday, April 13, 1 p.m., Lyons Community Park. Rain date is April 20. Fayette – Saturday, April 13, noon., Fayette Normal Park Grove. Rain date is April 20. Metamora – Saturday, April 13, 1 p.m., Village Park. Rain date is April 20. Swanton – Saturday, April 13, 1-3 p.m., Memorial Park. Friday, April 19, 2 p.m., Swanton Public Library. Wauseon – Saturday, April 13, 1-3 p.m., at Fulton Manor for children, grandchildren and great-grandchildren of residents and staff through age 8. Saturday, April 20, 11 a.m., Reighard park directly across from the high school. Ages 0-9. 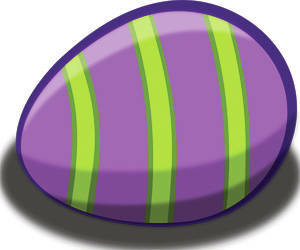 Email fcenews@aimmediamidwest.com to add an Easter egg hunt to the list.